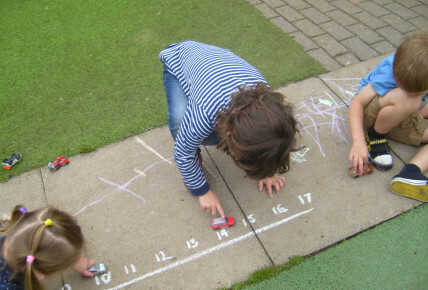 Today our Pre-Schooler's have been using spontaneous numbers within their play, releasing cars down a pipe, letting gravity take its corse and race to see who can reach the highest numeral. The children took it in turns to discuss the numbers present on the floor and used the input from a staff member to embed the learning and use of mathematical termanology! 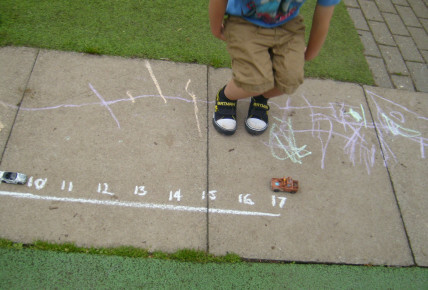 This is a great activity to get the children thinking and learning through their play interests! Try having a go at home!